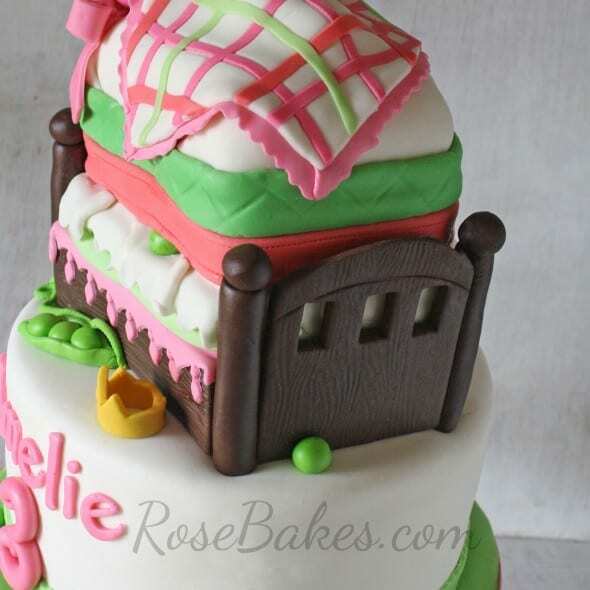 Tonight I got a comment on this Princess & the Pea Cake asking if I’d share the step-by-step pics. Then I started reading the other comments and realized that other’s had asked about it also but I hadn’t ever posted it. I was just about to reply that I didn’t have any pics of putting it together (assuming that’s why I never shared) when I realized that I actually do. 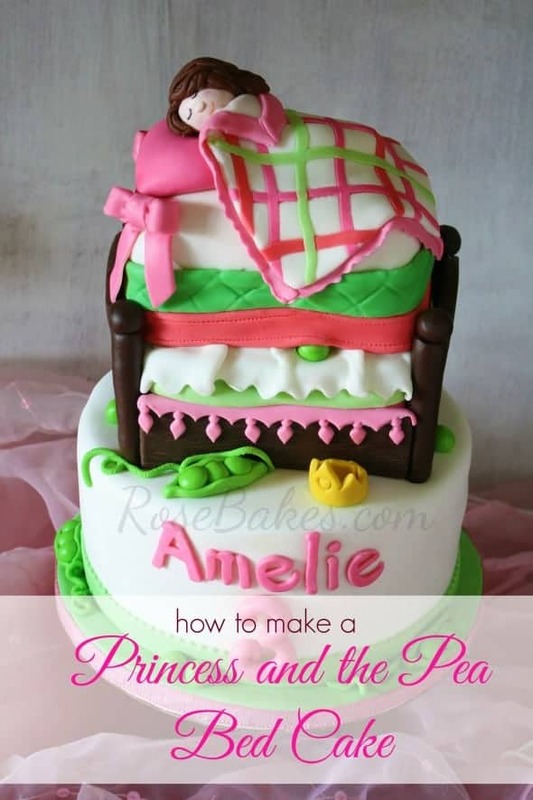 So… I’m gonna share a tutorial for How to Make a Princess & the Pea Bed Cake. Unfortunately, I don’t have all of the steps, so that’s probably why I ended up deciding to not share (or I just forgot because sometimes I’m flaky that way), but just because Judy asked (and all of the others!) – I’ll give ya’ll what I’ve got! 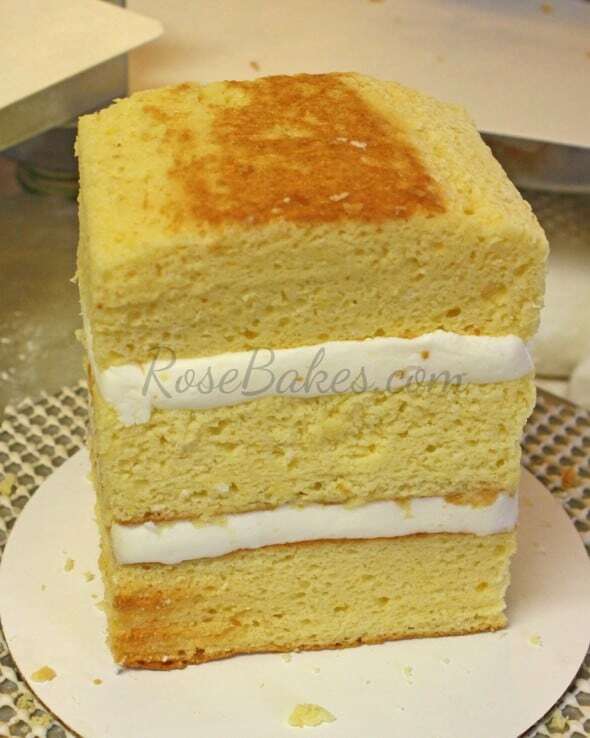 The bottom of this cake was simply an 8″ round vanilla cake with 2 layers, frosted and filled with buttercream then covered and decorated with homemade marshmallow fondant. You can see my (very old and ugly) posts about how I do that here (I really really need to update those!). 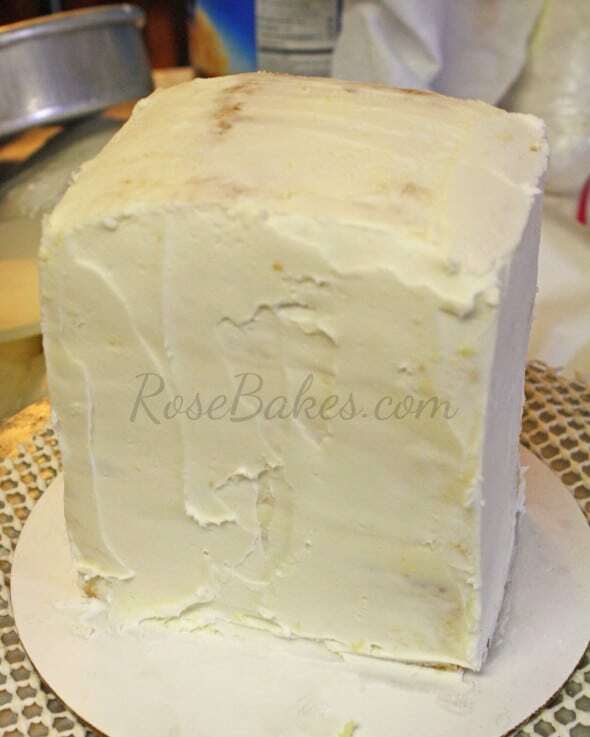 I used the squares to block off one of the long sides so that the cake would be 6″ wide and the end so it would be 12″ long (each square is 2×2″), then I cut it in to 3 rectangles… 4″x6″, each 2″ tall. 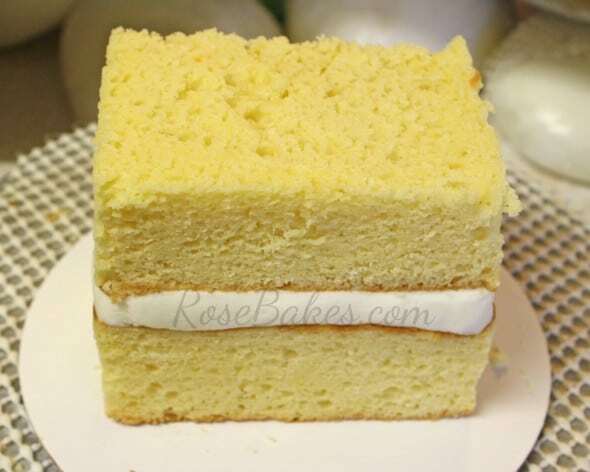 I glued them on with sugar glue – on each side, but not the ends. And sadly, that’s the last picture I took of putting it together. 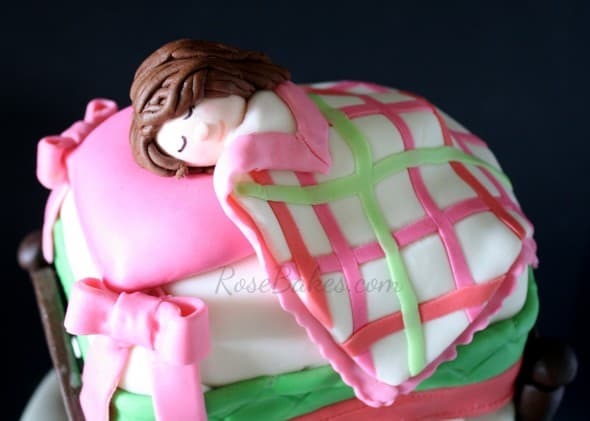 Obviously, I finished up the mattresses, then I added on the pillow, the girl (just a head with a “log” of fondant under the covers), and the blanket and bows. 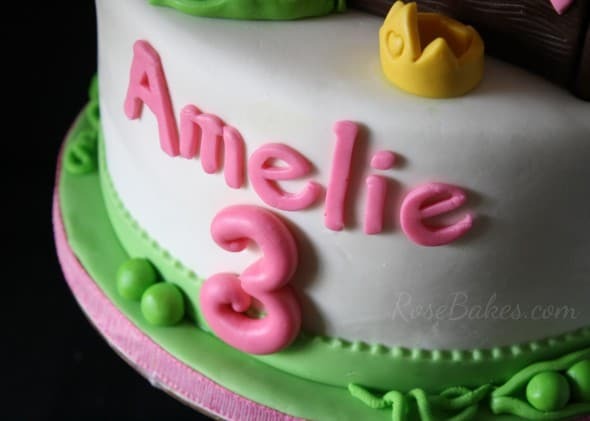 When I got it almost completely decorated, I put it on top of the 8″ round cake. 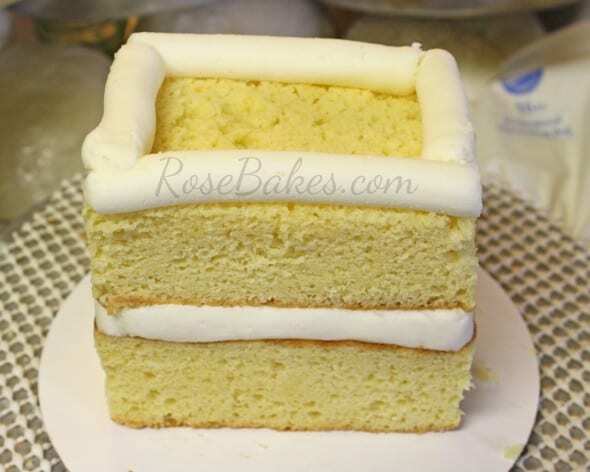 I used bubble tea straws and a dowel rod – the same way I did it in this how to stack cakes tutorial. I had made those a a few days before by adding tylose to brown (chocolate) fondant, then rolling it out and adding the wood texture with a wood grain texture mat. 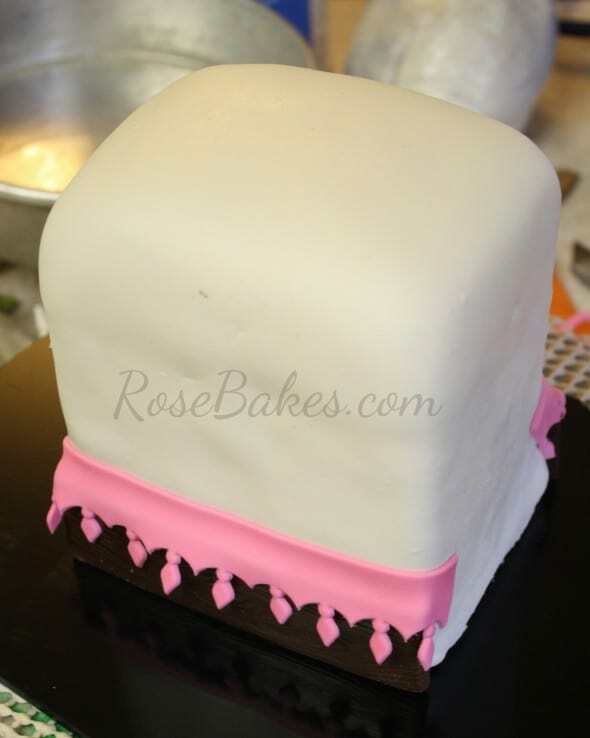 I used some mini cutters to cut out the rectangle shapes and used the edge of a round pan to cut the curved top edges. For the posts, I rolled out snakes of the brown fondant stuck them on a bamboo skewer, then added a ball to the top. 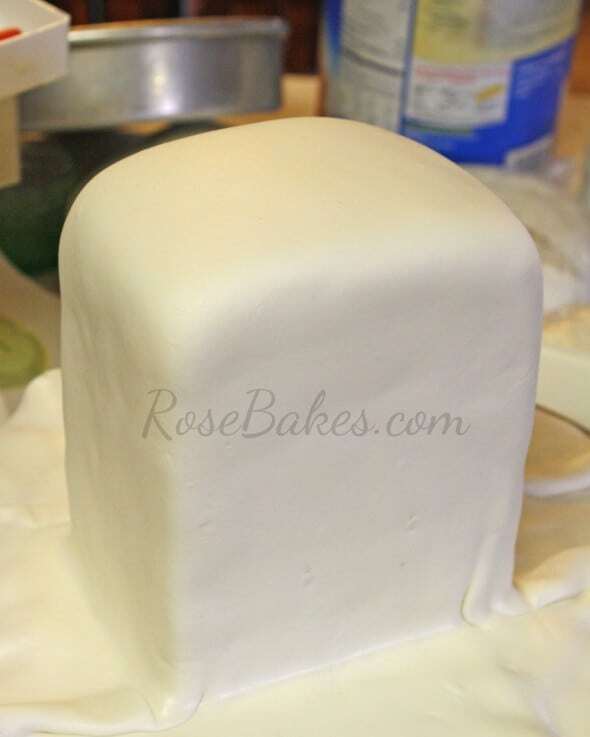 When I was ready to attach the head board and foot boards to the cake, I used sugar glue, then pushed the skewers/posts into each corner. Looking back, I should’ve figured out a better way to attach the boards to the end. My sweet customer called me shortly before the party and said one of them was coming off. 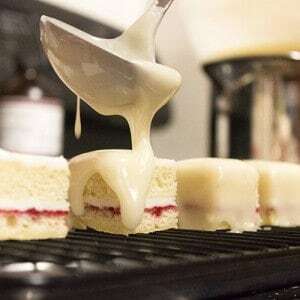 I talked her through melting a marshmallow to use for “glue” and getting it back on there to stand up, but I would definitely do something different if I made this cake again! 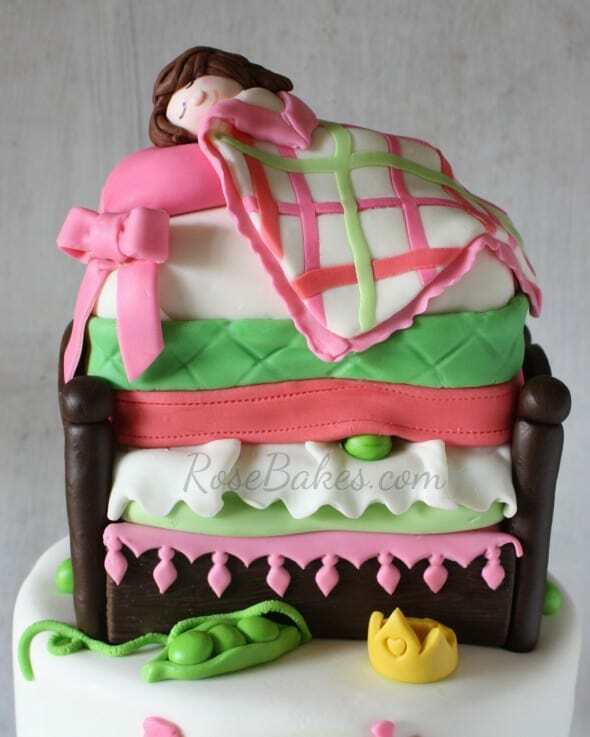 If you’re interested in any other details, check out my original Princess and the Pea Cake post – I might have shared it there. If not, leave me a comment and I’ll answer it and help out if I can! Super cute, as always Rose. This is really sweet Rose. Thanks for sharing! Rose, thank you thank you thank you!!!! 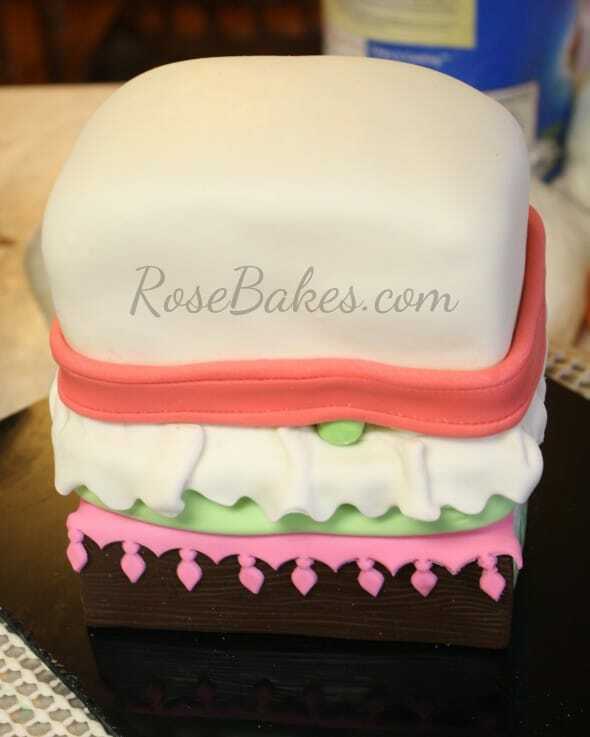 You amazing and have given me so much help in my thoughts of how to put my cake together and decorate it! I appreciate your thoughtfulness to share!!!! I used it to block off sections that were 2 squares by 3 squares to bake the bed layers. 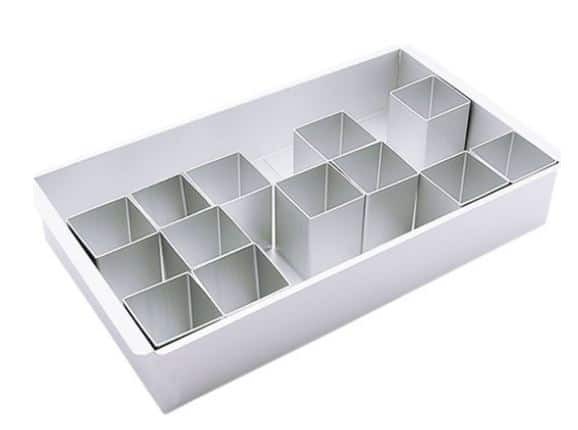 I’ve also used it to make the Lego cake here and I’ve used it to bake small square cakes when I didn’t have the pans. 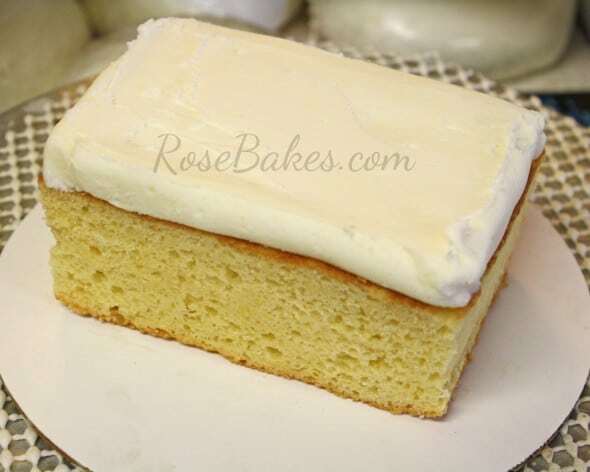 OH – and I used it to bake this skateboard cake and this dump truck cake. thanks Rose for the info. Truly Appreciate it. I will give it a try.